If Congress doesn’t reach a deal by July 1, the interest rate on student loans will go from 3.4 percent to 6.8 percent. 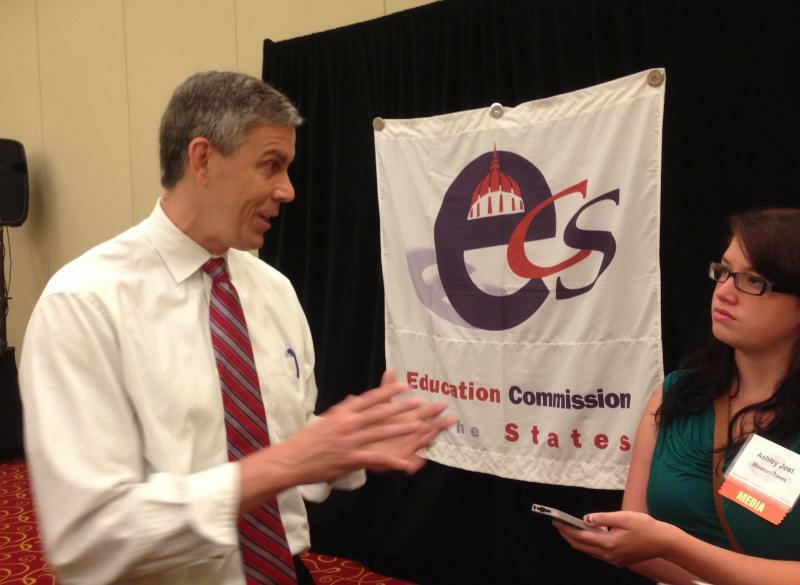 Duncan was in St. Louis for an education talk, discussing (among other things) the President’s plan to expand preschool education. The President’s “Preschool for All” plan would bring in about $50 million for Missouri in the first year. If the president’s plan comes to fruition, states would have to opt in to get the money, and pay a greater share as the program goes along. It’s estimated that it would expand preschool to nearly 6,000 low and moderate income families statewide. Of course, Missouri Republicans aren’t exactly clamoring to accept federal money for Medicaid expansion. Duncan added that every dollar spent on early childhood education yields a return of $7 , and that Missouri not accepting the money would mean more for other states. President Obama announced the proposal during the State of the Union. Duncan said he is very hopeful Congress will act on the plan.